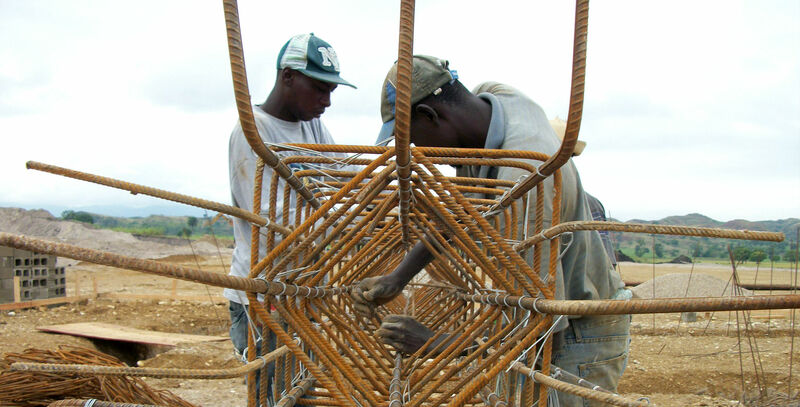 In a country starved for resources with a crippled public health system, one nonprofit is determined to make more of Haiti’s health-care facilities affordable, sustainable and resilient to natural catastrophes. Massachusetts-based Build Health International (BHI) has been designing and building such facilities after health care system was destroyed in the earthquake of 2010. Since then, Haiti has been rebuilding its public health system, but some progress was rolled back again after Hurricane Matthew in October. When a natural disaster strikes a developing country like Haiti, first responders address the population’s immediate needs for potable water, food, medical supplies and temporary shelter. Rebuilding homes and basic infrastructure, such as hospitals and other health-care facilities, take more time and additional resources. Among other projects in Haiti, BHI partnered with the St. Boniface Haiti Foundation to repair and expand St. Boniface Hospital – the only general surgery program in the southern peninsula of Haiti – to build an infectious disease ward, a new surgical center and a recommissioned community-water project. Power redundancies almost routine in U.S. hospital systems, as equipment like fire alarms and medical gas run around the clock. In the region of Haiti where St. Boniface hospital is built, electricity from a power grid isn’t even an option. “Even if there were electricity, it would only function part of the day,” said Ansara. Instead, the hospital uses diesel generators for air conditioning and occupancy sensors with LED lighting to minimize energy. The next step is to install a massive solar system that’s expected to supply 85 percent of the hospital’s energy. But getting U.S. foundations and donors excited about investing in large-scale solar projects has been challenging for organizations like BHI. For the hospital’s current solar project, Ansara said funding was scraped together from three or four separate foundations and donors. Improving Haiti’s public health-care system has become even more critical in the wake of the hurricane, which led to a surge in cholera, malnutrition and other public-health concerns. The impact on already-vulnerable patients “hasn’t been pretty,” said Vincent DeGennaro Jr., president of the nonprofit group Innovating Health International, in an interview with Humanosphere. During the hurricane, 15 of his patients in chemotherapy treatment had the roofs ripped off their houses. Leaders of Haiti’s health workers union said nurses and nonmedical personnel haven’t seen an increase in wages for a decade, according to the Washington Post. But the health ministry has said it cannot afford higher wages after resolving the resident doctors’ strike in September. Amid a shortage of public-health workers and hospital closures, Haiti’s poor – which is just about everyone – suffer the most. Patients who can’t afford private care are challenged to find a bed in clinics run by NGOs, which have become overwhelmed by the increase in patients. Project HOPE is one of many organizations helping support Haiti’s health systemsince the hurricane. As of Jan. 24, Haiti has received $89 million in an emergency flash appeal after the hurricane, according to a funding overview by the U.N. Office for the Coordination of Humanitarian Affairs (OCHA). Of that, $3.5 million has gone directly to improving the country’s health. Haiti has received $139 million overall since the hurricane from the U.N., international NGOs and other donors.